Kids love swings! Do you remember when you were a kid and getting to swing on the playground or at the park, trying to see just how high you could go? Things haven't changed much because that's still the primary goal when kids play on any swing set. Shown here is a classic style swing set in a galvanized finish (painted finishes call for an upcharge). All our Modern Bipod or Tripod swings of this style come with galvnized steel pipes, self lubricating hangers, 4/0 galvanized welded chain and black cut proof seats. The swing shown is a Tripod as it has three outer support posts. A Bipod swing only has two outer support posts. Prices vary per swing frame height, bipod or tripod. Tripod and Bipod swing sets can be extended up to 4 bays or 8 seats total. Aluminum Domes, Aluminum Rings, Spring Rider Aluminum Ponies, Cast Aluminum Backboards: GUARANTEED FOR LIFE*! Metal Modular units/components: •Limited Lifetime* Warranty on all steel support posts and aluminum clamps. •Limited 15-year warranty on main support materials and deck. •Limited 10-year warranty on all plastic components. 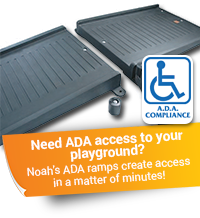 •Limited 3-year warranty on all Fun Center polyethylene and plastic components. •Limited One year warranty on all other products not listed above. •1-year limited warranty against defects in material and workmanship. Warranties apply to structural failure caused by defective materials or defective workmanship, and with normal use and proper maintenance and installation. Damages from misuse, vandalism, lack of maintenance, improper installation, unauthorized repairs or modifications, acts of God or acts beyond SportsPlay’s control, or cosmetic issues such as scratches, dents or fading of colors, are not covered by the warranty nor does the warranty cover the cost of freight or labor for removal and installation of repaired or replacement parts. Warranties are limited to repair or replacement of defective parts. A repaired or replacement part covered only for the original warranty period. All warranties begin on the delivery date of the goods. Warranties are non-transferable and only apply to end users who purchase new products directly from SportsPlay or an authorized SportsPlay Distributor for personal or business use and not for purpose of re-distribution or re-sale. NO OTHER WARRANTIES APPLY. SPORTSPLAY EXPRESSLY DISCLAIMS ALL OTHER WARRANTIES, WHETHER EXPRESS OR IMPLIED, INCLUDING BUT NOT LIMITED TO ANY WARRANTY OF MERCHANTABILITY OR FITNESS FOR A PARTICULAR PURPOSE. THE ABOVE WARRANTIES EXCLUDE ANY LIABILITY OTHER THAN AS EXPRESSLY STATED INCLUDING, BUT NOT LIMITED TO, ANY INDIRECT, SPECIAL, INCIDENTAL, CONSEQUENTIAL OR PUNITIVE DAMAGES.